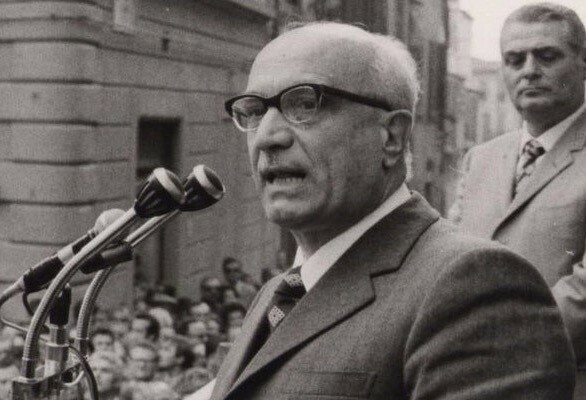 Former prime minister who proposed "third way"
Amintore Fanfani, a long-serving politician who was six times Italy’s prime minister and had a vision of an Italy run by a powerful centre-left alliance of his own Christian Democrat party and the socialists, was born on this day in 1908. A controversial figure in that he began his political career as a member of Mussolini’s National Fascist Party, he went on to be regarded as a formidable force in Italian politics, in which he was active for more than 60 years, admired for his longevity and his energy but also for his principles. Throughout his career, or at least the post-War part of it, he was committed to finding a “third way” between collective communism and the free market and became a major influence on centre-left politicians not only in Italy but in other parts of the world. The American president John F Kennedy, whose friendship he valued, told colleagues that it was reading Fanfani’s book, Catholicism, Protestantism and Capitalism, that persuaded him to dedicate his life to politics. 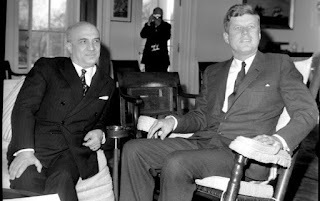 They last met in Washington in November 1963, just two weeks before Kennedy was assassinated. Although he opposed communism, Fanfani’s position was generally in favour of socio-economic intervention by the state and against unfettered free-market capitalism. He even went as far as to write that Catholicism and capitalism were incompatible, with an “unbridgeable gulf” between them. His key contribution to post-War Italian politics was to reform the Christian Democrats, ending its dependence on the Vatican, creating a support base in industrial centres in addition to its rural strongholds, where parish churches served as party offices. He rebuilt the party as one of traditional values, but not hostile towards change. Fanfani would later admit that his pre-War support for Fascism was wrong, an “aberration”. But he saw the value in the vast public sector developed by Mussolini in the 1930s, realising it could be harnessed as a powerful instrument of political rule, one that would provide employment for the masses when the private sector fell short, as well as jobs to keep friends sweet and to keep would-be opponents on his side. It was this that enabled the Christian Democrats to establish an almost unbreakable hold on government in Italy that collapsed only when the party became consumed by corruption in the 1990s and was broken up. Born in Pieve Santo Stefano in the province of Arezzo in Tuscany, Fanfani hailed from a large family with strong Catholic beliefs. He graduated in economics and business from the Università Cattolica in Milan before becoming a member of the National Fascist Party, drawn by the corporatist idea of state control for the benefit of working people, which he believed would eventually take hold across Europe. However, after Mussolini's fall in 1943, he fled to Switzerland, returning at the end of the War to join the newly-formed Christian Democrats, becoming vice-secretary. 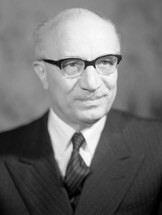 Under the post-War prime minister Alcide de Gasperi, he had several ministries. Notably, as Minister of Labour, he introduced policies to build homes for workers and put 200,000 of the country’s unemployed to work on reforestation programmes. During his terms as prime minister, the first of which came in 1954 and the last in 1987, he introduced reforms in health, education, housing and social security. He improved the state pension and established links to wages. From the late 1950s onwards, Fanfani persuaded the party of the need to establish closer ties with the socialists, partly because of his own centre-left policies, partly because he felt it would help isolate the Italian Communist Party. 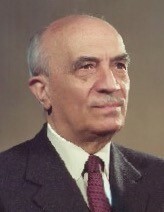 He was one of the instigators, along with Aldo Moro, of the coalition with the socialists formed in 1962-63. When Moro was kidnapped and murdered by the Red Brigades in 1978, Fanfani was the only Christian Democrat leader allowed by Moro’s family to participate in his funeral. Yet Fanfani, though a brilliant politician, could never achieve the popularity he craved within the party, his own downfall eventually coming about through the factionalism that was inevitable in a party the size of the Christian Democrats. Partially as a result, he never achieved his ambition of being elected President of the Republic, although he did occupy virtually every other prestigious office to which a politician could aspire, including president of the UN assembly and president of the Senate. He died in Rome in 1999, aged 91, survived by his second wife, Maria Pia Tavazzini, and his two sons and five daughters, all by his first wife, Bianca Rosa. Pieve Santo Stefano, where Fanfani was born, is situated in the east of Tuscany, close to the border with Emilia-Romagna, about 50km (31 miles) northeast of Arezzo. A small town of about 3,500 residents, it sits on the bank of the Tiber river. It enjoyed a golden age in the 15th century when it was a favourite retreat for Lorenzo the Magnificent of Florence, who brought paintings by Girolamo della Robbia, Piero della Francesca and Ghirlandaio with him. Although the Della Robbia – his Jesus and the Samaritan at the well – can still be appreciated inside the Palazzo Comunale, most of Lorenzo’s art treasures were lost in a flood in 1855. The town is now notable as the home of the Archivio Diaristico Nazionale, an archive of diaries, memorial documents and epistolary texts established by the journalist Saverio Tutino in 1984. 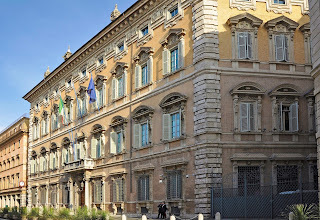 Fanfani’s home in Rome was a short distance from the headquarters of the Senate in the Palazzo Madama, which was built on the site of the ancient baths of Nero, adjoining Piazza Navona. 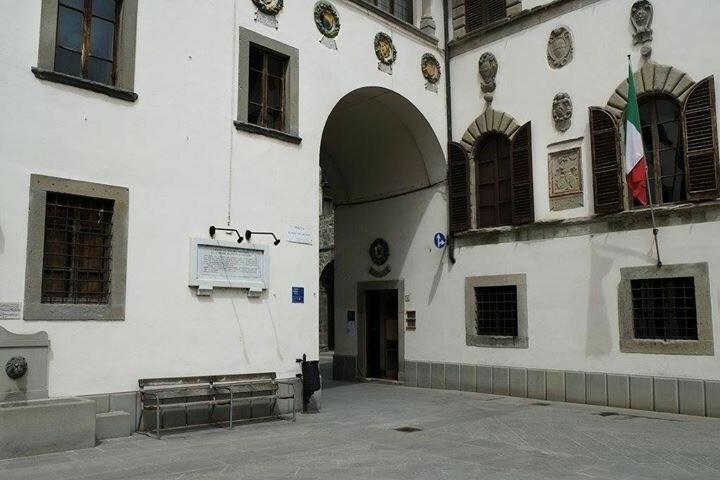 The palace was completed in 1505 for the Medici family, who had it built as a home for Giovani and Giulio, two Medici cardinals who would go on to become Popes Leo X and Clement VII respectively. After the Medici era ended in the 18th century, the palace became the seat of the Papal Government. 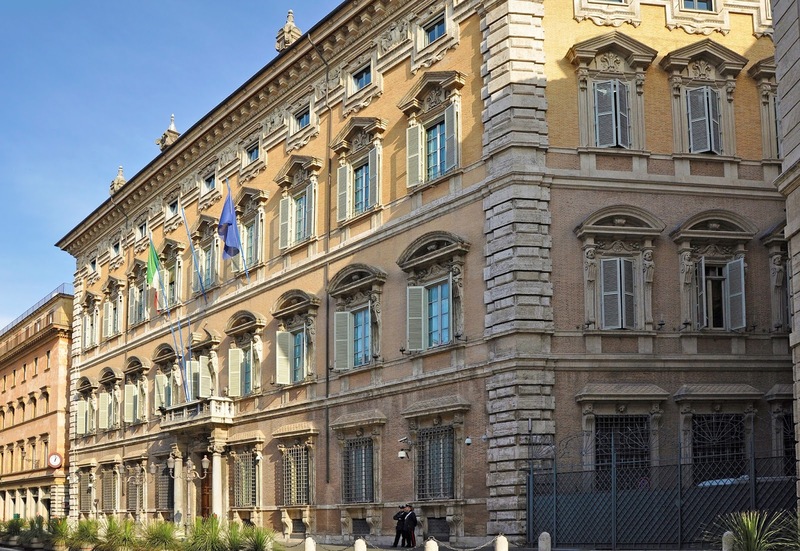 In 1871, after the capture of Rome by the Kingdom of Italy, it was designated as the seat of the Senate.